The modern upgrade on a classic design: beyond its good looks the Kane is a serious piece of British-made kit. Dundee-woven P200 Superdry unwaxed cotton makes it water resistant, windproof, lightweight, breathable, strong and incredibly resilient to abrasion. It is named after Shackleton pioneer Aldo Kane who performance tested our original Explorer smock deep inside the active stratovolcano Mount Nyiragonogo in D.R.Congo. It is an excellent all-season companion with the practicality of a deep and secure front pocket for essential devices and equipment. 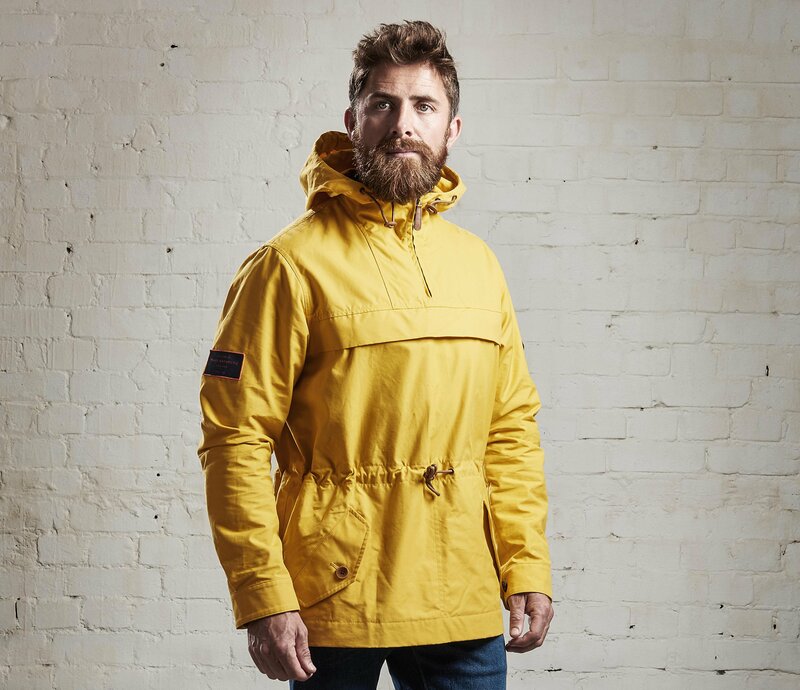 Fabric: 100% Cotton - Produced in Dundee, Scotland by Halley Stevenson, the leading manufacturers and innovators in waxed cotton and weatherproofed fabrics. Fabric handle is luxuriously soft, ideal for soft shell garments that perform in the harshest of conditions. Large ‘Kangaroo’ zipped chest pocket - ideal for quick access items, phone, tablet, wallet. Two easy access (press stud) hand warmer pockets. Rear large zipped ‘Poachers pocket’ with dual side zip access, ideal for storing larger items - hat, gloves, scarf….maps. Side zip (waist to elbow) - for easy access and ventilation in warmer climates. Adjustable hood and draw cord to protect against wind, rain, snow. Adjustable cuffs for a tighter fit. Adjustable waist and draw cord for warmth, closer fit and style. Large rubber zip pullers, featuring pimples on reverse for ease of use with cold hands or whilst wearing gloves. Extremely hard wearing - survived multiple ascents and descents of active volcano. Natural 100% cotton fabric - abrasive proof. Internal patch - “I hold that a man should strive to the uttermost for his life’s set prize”. Poet, Robert Browning quote, engraved on Shackleton’s gravestone in South Georgia. Named after Shackleton pioneer Aldo Kane who performance tested our original Explorer smock deep inside the active stratovolcano Mount Nyiragonogo in D.R.Congo.